The size of a wire is directly related to the amount of electricity it delivers. The more amps of electricity it uses, the wider the diameter of the conductor. Wire size is measured by its gauge, but in a counter-intuitive way, because as the diameter of the wire increases, the gauge decreases. Choosing the right wire size is important for safety. Add up the amp usage of items powered by the circuit in question. Typical residential circuits are: lights and outlets: 15 amps; kitchen outlets and small baseboard heaters: 20 amps; AC condensers, dryers and water heaters: 30 amp wires; ovens and electric stoves: 40 amp wires. If the circuit is powering a single device, consult its owner's manual. This is important to determine its amp draw and the size of wire you need to give it power. If you have lost the owner's manual, contact the manufacturer for the specific electrical needs of the device. Determine the type of wire you want to use. 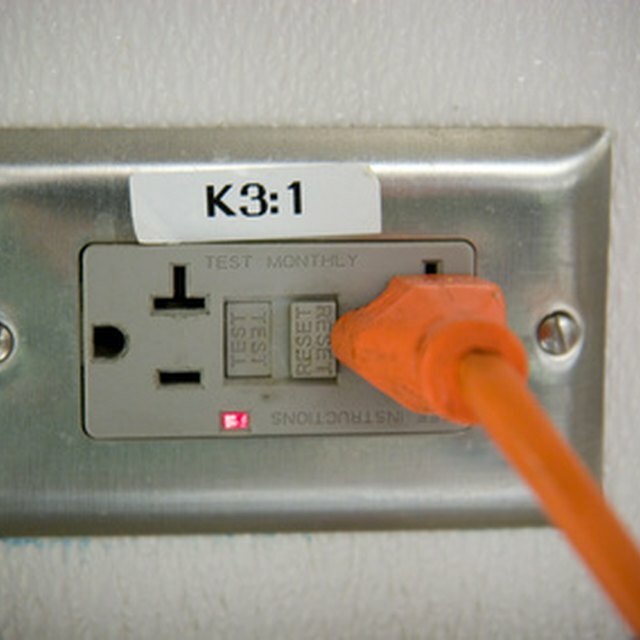 In modern buildings the standard for smaller-sized wires is copper wire. For larger gauge wires that are multi-stranded you can choose between aluminum and copper wire. If you choose aluminum wire be careful to use connectors which are rated for this wire type. Compare the wire type and the maximum amount of amps it will carry in order to determine the size of wire you need: 15 amp wire: copper 14 gauge or aluminum 12 gauge 20 amp wire: copper 12 gauge or aluminum 10 gauge 30 amp wire: copper 10 gauge or aluminum 8 gauge 40 amp wire: copper 8 gauge or aluminum 6 gauge.